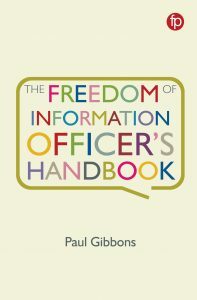 Paul Gibbons has written widely about freedom of information and other related matters beyond this blog. Here are collected links to his articles where possible and references to other pieces. FOI: how did English councils perform in 2016? What do they know about refusing requests? 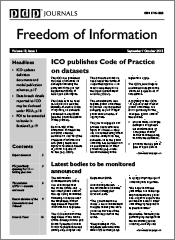 FOI in the Isle of Man – FOIA upgraded? How important is good records management to FOIA compliance? Section 36 and the ‘qualified person’ — who is it and why does it matter? Codes of Practice – more guidelines than rules? 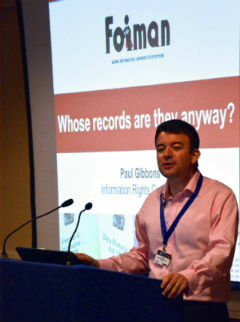 Paul has also written for other publications including Times Higher Education magazine and the Records Management Journal. He has also contributed to FOI resources for Lexis Nexis.